Our portal provides access to the nation’s largest network of electronically capable occupational health providers, Including Quest Diagnostics, Lab Corp, & Concentra. This network of over 4,000 + providers, utilizing electronic chain of custody forms. allows you to schedule, order, and access real-time status. Your company will have the ability to manage all program components, monitor results, view reports in progress, and securely archive candidates results from one convenient web- based portal. Origin is a leading provider of top quality instant urine and oral drug & alcohol testing kits. 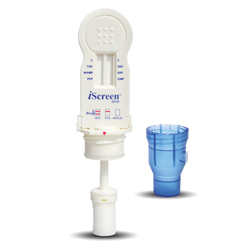 Our drug tests are easy to operate, convenient to store, and deliver results in minutes. Feel free to contact us or browse through our catalogue for more product information. Total Visibility: Origin's advanced electronic screening management system provides your company with the ability to utilize one convenient, web-based portal to view all stages of a transaction, from scheduling to result reporting. The system provides real-time status updates throughout the process, online dashboard views, proactive email updates, easy user access controls, and streamlined, transparent compliance with an online filing cabinet for Chain of Custody forms, physical exams, consent forms, and more. Increased Efficiency: Origin's, online scheduling process facilitates efficient urine, oral fluid, and hair testing, as well as expanded testing beyond the Standard 5-Panel Urine Drug Screen. Our highly qualified in-house Medical Review Officer team, with three full-time, dedicated doctors, facilitates and expedites the adjudication process when the laboratory reports non-negative results. In addition, our system offers automated data pre-fill for forms, a user-friendly “self serve” feature for candidates and employees to schedule their test, real-time, online administrative controls, and exceptional support for remote employees. Expanded Access: Our unique approach to integrating with all major laboratories and occupational clinics provides your company with a vast network of collection sites, including access to an extensive network of clinics with extended hours coverage, hospital emergency room services, and mobile collectors, ensuring that services are available anytime they are needed – 24 hours per day, 7 days per week, 365 days per year. Flexible Screening: Origin's easy to use proprietary platform provides the flexibility to configure any specimen type and drug panel available and integrate it though the platform to every best-in-class laboratory and collection site available worldwide.